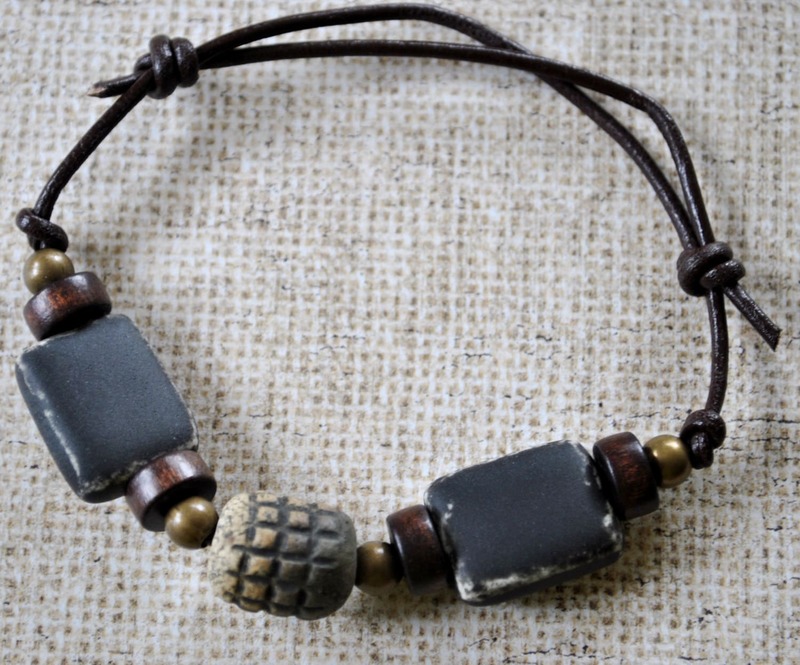 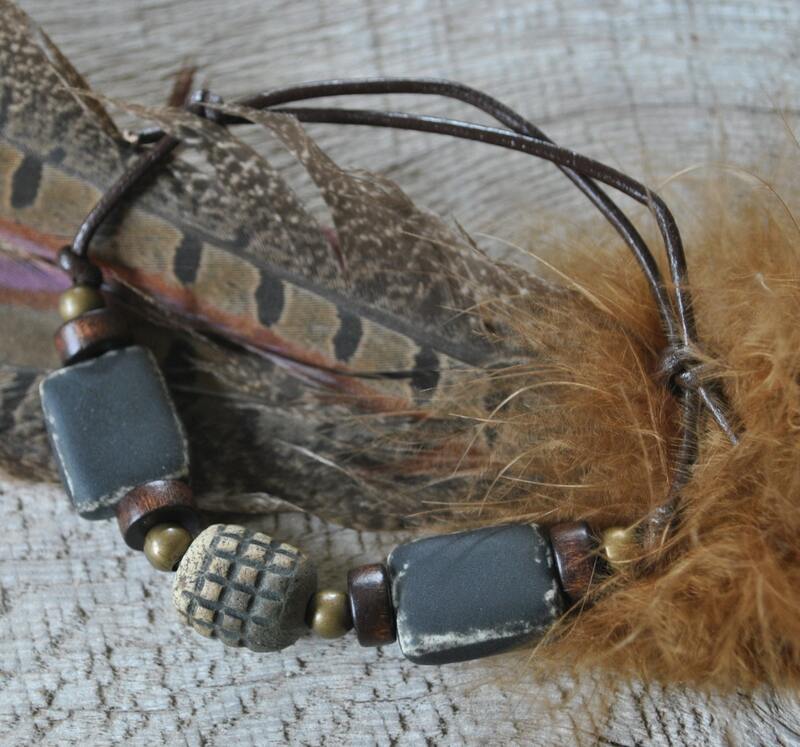 Men's bracelet is constructed with two black ceramic beads, a textured raku bead, brown wood beads, and brass beads. 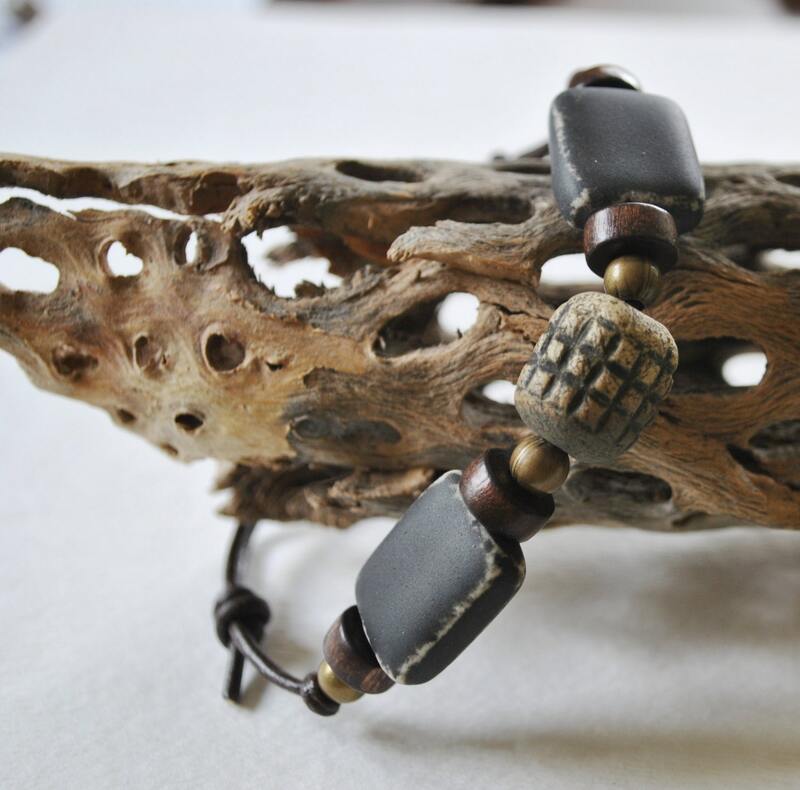 This masculine bracelet is on adjustable, brown genuine leather cord. 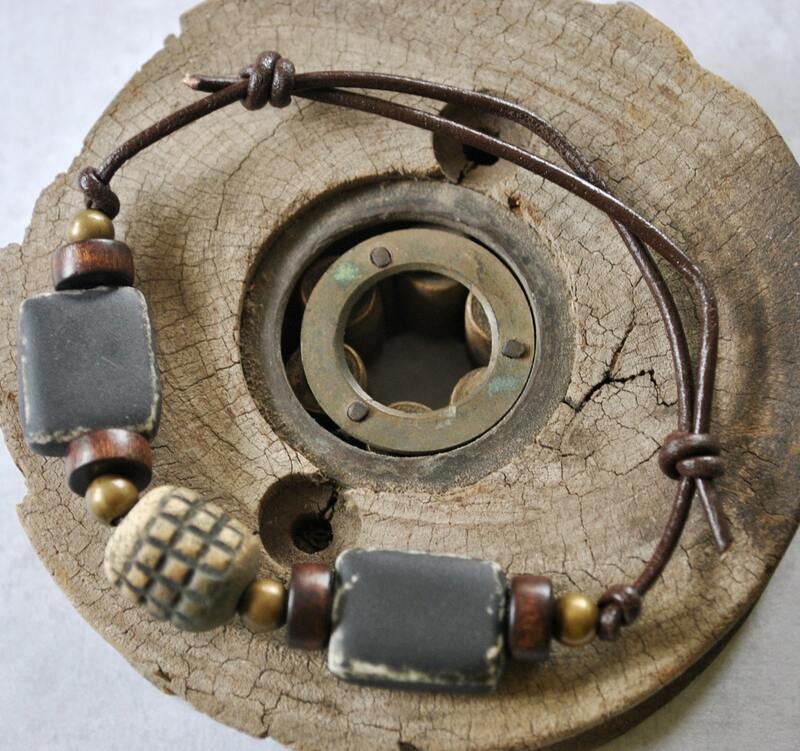 INSIDE FIT: adjustable 7 1/2" to 10"